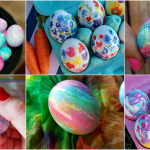 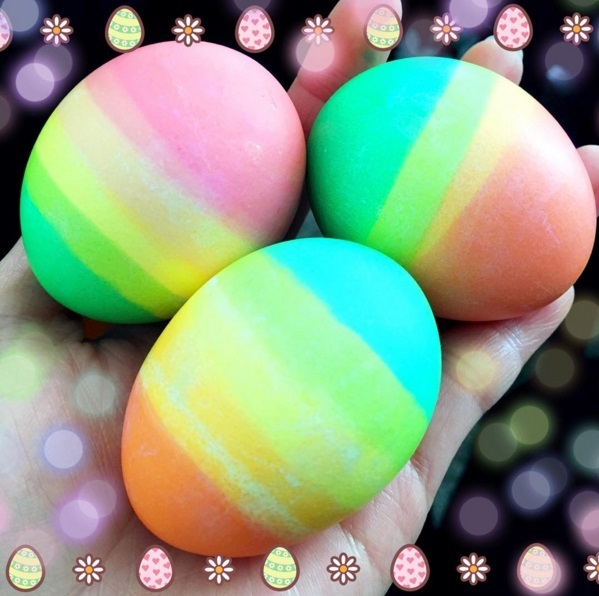 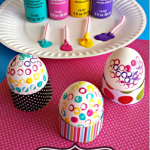 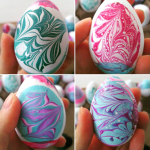 Here’s a fun easter egg decorating idea from Jane on Instagram ~ make a rainbow! 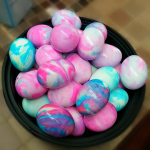 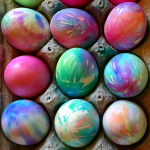 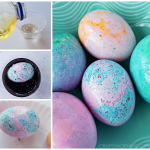 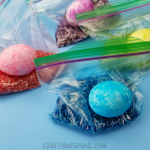 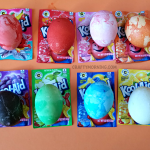 All you have to do is put dye in different cups and dip the egg in the first one, then when that dries dip it in the next color submerging it lower and lower. 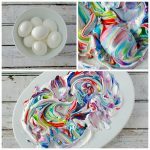 What a cool effect!